Finally Sony announced 400mm F2.8 lens today with a price tag of $12000. When we talk about Mirrorless lenses they aren’t so cheap. Btw, let’s talk about the Major features of the lens. According to Sony press release text the 400mm F2.8 lens features Dual and New Linear Motors inside that works in parallel to match up the Autofocus speed if Sony A9 camera. Sony engineers worked on to maintain the center of gravity of the lens to make it ideal for use for longer period of time without putting any extra effort on maintaing the weight ratio of entire system. Mirrorless lenses isn’t too affordable, mirrorless camera makers should also keep their Lens price down as they do with their camera system. 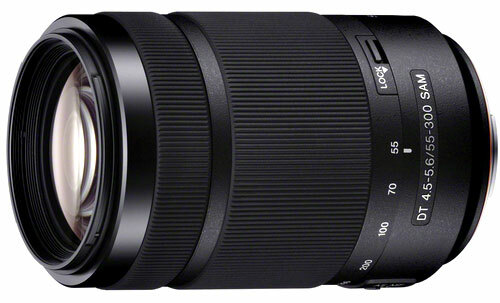 One of the best thing I have noticed today is the announcement of Sony E-mount 18-135mm lens. This lens is so important that Canon and Nikon DSLRs offer this lens as a kit lens with APS-C sensor based DSLRs after 18-55mm lens. The lens covers a perfect range that eliminates the need of zoom and standard lens alone and perfect companion for travel photographers. This new APS-C lens features a versatile 18-135mm focal length, aperture range of F3.5-F5.6 and Optical SteadyShot™ stabilization. The lens is an ideal fit for Sony’s popular APS-C sensor cameras including α6500, α6300 and α6000, and is an extremely useful tool for a wide range of shooting situations ranging from daily life to portraiture, landscape, nature and travel photography. So, in near future the upcoming we do hope that next Sony announcement (possibly Sony A6700 or Sony A7000) will carry 18-135mm lens as a kit lens option. Request to Sony, I am not talking about FF / F-mount users here. But for APS-C / E-mount users they should announce something affordable then current DSLR makers offering. Let me say you for a photographer like me do look over price tags while getting a camera or lens. Believe me I never buy a camera or suggest it to someone without looking entire price of the system (that includes essential lenses like portrait, Landscape, Zoom and Macro ). Sony 16-35mm F2.8 Lens Coming Next Week ? This rumor is coming from China and according to the tipster a New Sony Lens announcement may happen this week. The name of the upcoming lens is said to be 16-35mm F2.8 and other lens name is still unkonwn. The tipster also added that Sony is not in mood to announce A7RIII or A7II anytime soon. According to latest latest rumors Sony is now prepared to announce a new “85mm G lens” this year. No specification is available for now, but we do expect the upcoming lens will have F1.7 aperture. The Lens is coming for E-Mount camera, at the same time Sony A7000 rumors are also heating up, take a look at the rumored specification here. Sony announced new zoom lens for Alpha APS-C sensor SLT camera, the lens features Smooth AF motor (called SAM), for quiet and fast AF performance, it also comes with a ED (Extra-Low Dispersion) element to reduce aberrations, the lens comes at affordable cost of $300, available from September 2012. Upcoming Sony 18-135mm f/3.5-5.6 lens image leaked by a japanese website digicam.info, the lens will feature metal mount and designed for Sony Alpha cameras with APS-C sensor.